Chris Perish and Meniac are back talking about the latest in the wrestling and sports world. And, A OFFER FOR LISTENERS ON CHECKING OUT SOME GREAT VIDEO FROM BACKBREAKER MEDIA. Check out the site at backbreakervod.pivotshare.com. Over 150 hours of content available for just $5.99 a month. And more to be added soon. Use the code ALBERTAWRESTLING at checkout for not only a free 2-week trial, but 50% off your first 3 months subscription. Chris Perish and Meniac introduce a new character to the show, as they discuss the WWE heading to Edmonton late last week. As well, the latest in wrestling and the rest of the sporting world in this quiet week in the entertainment industry. Chris Perish and Meniac are back this week, fresh off Meniac winning a huge wager (pics coming soon) against the villian of the Network, Pride. Topics on this episode include record-breakers in the National Hockey League, a crazy week of Free Agency in the National Football League, a review of WWE Fast Lane, and thoughts going into Wrestlemania weekend. Chris Perish and Meniac are back, talking the latest in wrestling and sports this week. Chris Perish is going it alone this week, and has his thoughts on all things sports and WWE this week, including the three releases that occurred this past few days. A milestone episode of SoS this week, as Chris Perish and Meniac talk about a bunch of milestones hit in the NHL this week. As well as news and notes from the sports world, a preview of the NHL trade Deadline. And their thoughts on the week in WWE, including the Elimination Chamber PPV, as well as Raw. 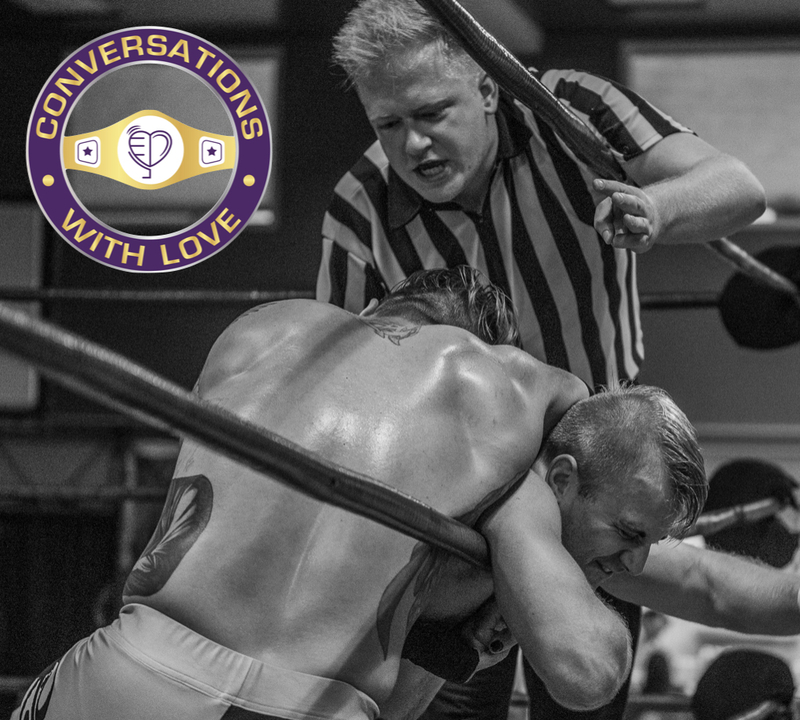 Meniac and Perish are joined by a very special guest this week, Win Column Sports Head Honcho and Host of Over the Top Rope and Conversations with Love, Spencer Love. On this episode they discuss the culture of hockey in Edmonton, Salary Caps in Sports, the first week of Canadian Football League Free Agency, All Elite Wrestling news, and a whole lot more. The Newsmakers Chris Perish and Meniac are back, making crazy hockey bets, talking NFL off season, and a whole lot more. Plus Chris Perish drops some hints as to why he made his bombshell decision to join Real Canadian Wrestling!!! And, A OFFER FOR LISTENERS ON CHECKING OUT SOME GREAT VIDEO FROM BACKBREAKER MEDIA. Check out the site at backbreakervod.pivotshare.com. Over 150 hours of content available for just $5.99 a month. And more to be added soon. Use the code TAGSTRUGGLE at checkout for not only a free 2-week trial, but 50% off your first 3 months subscription. Chris Perish and Meniac are back with another edition of the Sounds of Struggle. This week, the guys break down the weekend in WWE, including NXT Takeover Phoenix, and the Royal Rumble PPV. A lot of good takes in this one. And some quick notes from throughout the sports world. And the guys are taking shots at the end of the podcast, you need to check the end out!!! The boys are back, and they are fired up about the upcoming week in the world in Wrestling. Chris Perish and Meniac talk Meniac's debut in RCW, and previews this weekend's NXT Takeover: Phoenix and Royal Rumble, as well as the week in Sports. Just don't ask Perish about the NFL Playoff games this past weekend.